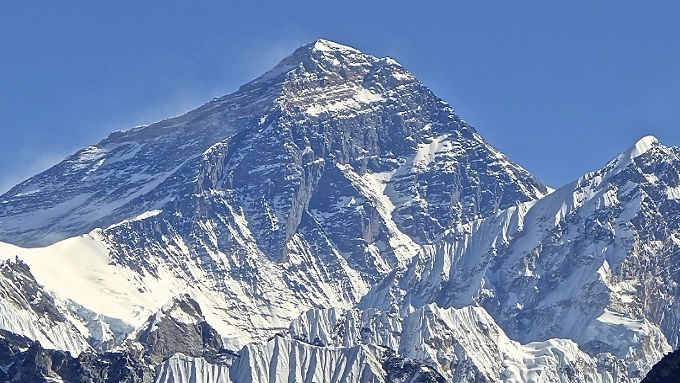 EVEREST BASE CAMP, May 14: Everest is the ultimate mountaineering "trophy", but the rising number of inexperienced climbers attempting to tackle the summit are running huge risks to reach the top of the world. An Indian airline pilot, a builder from Ohio and a former online media sales executive are all waiting at base camp for a chance to scale the 8,848 meter (29,030 foot) mountain this climbing season. They haul themselves up the same ropes to the top and face the same dangers of frostbite, avalanche and exhaustion and yet they pay vastly different amounts for the privilege. Cheaper fees means far more people can attempt a lifelong dream of conquering the world's highest peak, but there are grim predictions that an increasing number will never make it home. Critics warn bargain operators, who have slashed the price of an Everest ticket to as low as $20,000 -- accept even the most inexperienced climbers. Meanwhile, more expensive rivals, who charge around $70,000, have smaller teams and require proven climbing ability from clients. "It's a huge goal and a dream of mine to stand on top of the world," said Matt Brennan, who runs a construction company in the United States, and paid US-based Alpine Ascents $65,000 to try his first 8,000 meter climb. "I always wanted to climb the big ones and I felt that if I'm going to do it now is the time," said the 57-year-old, who set his sights on Everest two years ago after tackling North America's highest mountain, Denali, at 6,194 meters. In the 1980s the Nepal government only allowed one team per route on Everest, which meant only a handful of experienced climbers with national teams or those with major sponsorship deals could get a foothold. Since the limit was scrapped in the 1990s operators have crowded the slopes for a slice of the lucrative industry. This year there are 346 paying climbers on the south side in Nepal -- just shy of the record 373 permits granted in 2017 -- and another 180 climbing from Tibet, foreshadowing a bumper year. Last year six people died. Guy Cotter, who has been guiding on Everest for 27 years, warned that many new climbers lack experience. "Nowadays people can go on the internet and buy the cheapest expedition onto the mountain. But there is no criteria for experience with some of these operators," said the owner of New Zealand-based Adventure Consultants. "They are not mountaineers. They are just people who want to claim the prize of climbing Mount Everest. They are hunting for that trophy." Tenzing Norgay, the first man to summit Everest together with New Zealander Edmund Hillary in 1953, only reached the top on his seventh attempt. Today amateur climbers expect to do it on their first try, prompting many to take higher risks blinded by "summit fever" and lulled into a false sense of security by the thousands who have succeeded before. "Someone else has done this before me, so why can't I do it?" said 33-year-old Briton Daniel Horne, who used to work in online media. Horne paid $70,000 to climb Everest -- his second 8,000-meter mountain -- and said it would take years to find the money and time to make another attempt if he fails. "Unless they tell me to turn around, I'm going to keep going," said Horne. Concerns about paying clients have haunted Everest since the dawn of commercial expeditions. Many predicted a turning point after 1996 when eight people died descending from Everest's summit, among them those with limited experience at extreme altitude. "With enough determination, any bloody idiot can get up this hill. The trick is to get back down alive," Rob Hall -- a guide that year -- reportedly said. But critics say Hall and rival guide Scott Fischer, who both died that season, were too focused on their clients' investment in getting to the summit. "There are more incidents because people get into trouble because they have not learned how not to get into trouble. This is things such as dealing with altitude, even just technical climbing skills," said Cotter. Many long-time Everest operators warn that inexperience -- among climbers and operators -- will lead to more deaths. "I predict that we'll have more fatalities on the mountain until the operators mature," said Russell Brice, owner of Himalayan Experience, who has been taking people up Everest since 1994. He also blamed the attitude of some climbers. "Summit fever is a real disease. People just go on. It's the blaseness of 'It's just a toe'," he said, referring to the risk of losing digits to frostbite. Indian pilot Sandeep Mansukhani hopes to bag his first major peak with Nepal-based company Asian Trekking, which charges around $30,000. He said: "For people who are just starting, trying it for the first time, why not? Somebody has to try it, there has to be a chance given to everyone." But Everest guide Ang Tshering Lama, who last year rescued a climber and his guide who refused to turn around and give up his $20,000 fee, pointed the finger at climbers' egos. "People say, 'I climbed'. But they can't say 'I am a climber'," said Lama. "You need to be a climber to be on this mountain."